CitySTYLE – Spring Trend Alert – Flower Power! This Spring, it’s all about the flowers — not the kind in your garden; we’re talking about the latest trend – floral pants! Check out CitySTYLE’s favorite floral looks for this Spring! Tell us, which is your favorite? Leave a comment below! CitySTYLE – Spring Trend Alert – Flower Power! by citystyle412 featuring elastic waistband pants Continue reading CitySTYLE – Spring Trend Alert – Flower Power! Get your Spring Break on – In STYLE! This Spring it’s all about fun, flirty pastels, chunky sandals and cute statement pieces like this Gucci fanny pack. Tell us – Do you love this look? Leave a comment below! 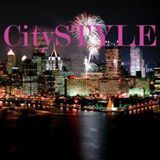 CitySTYLE Spring Break! by citystyle412 featuring high waisted jean shorts Continue reading CitySTYLE Spring Break!